Joe concentrates his practice in the areas of workers' compensation defense, professional liability and employment matters. Joe has taken several bench and jury trials to verdict, and has drafted and argued numerous dispositive motions. Joe has handled workers' compensation arbitration hearings at venues throughout the state, and has argued multiple cases before the Workers' Compensation Commission. Joe regularly handles depositions of expert witnesses and treating physicians in both civil and workers' compensation matters. Joe also devotes a portion of his practice to representing the firm's clients at depositions of plaintiffs and fact witnesses in asbestos personal injury matters. Joe began his career with Heyl Royster by clerking in the Urbana office. Following graduation from law school, he joined the firm's Urbana office as an associate in August of 2004, and became a partner in 2015. During law school, he served as Articles Editor for the University of Illinois Journal of Law, Technology & Policy. 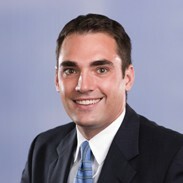 Named to the Illinois Super Lawyers Rising Stars list (2012-2019). The Super Lawyers Rising Stars selection process is based on peer recognition and professional achievement. Only 2.5 percent of Illinois lawyers under the age of 40 or who have been practicing 10 years or less earn this designation. Named a 2015 "Forty Under 40" attorney by Central Illinois Business Magazine. Winners are chosen based on achievement, experience, innovation, leadership, and community involvement.